I have never been a nocturnal worker. I will spend all day in the field from dawn to dusk, but when it gets dark I have a strong desire to go home. Consequently I have never done that much with Tawny owls and Badgers. I have photographed them, but never extensively. This May I have been putting some effort in. 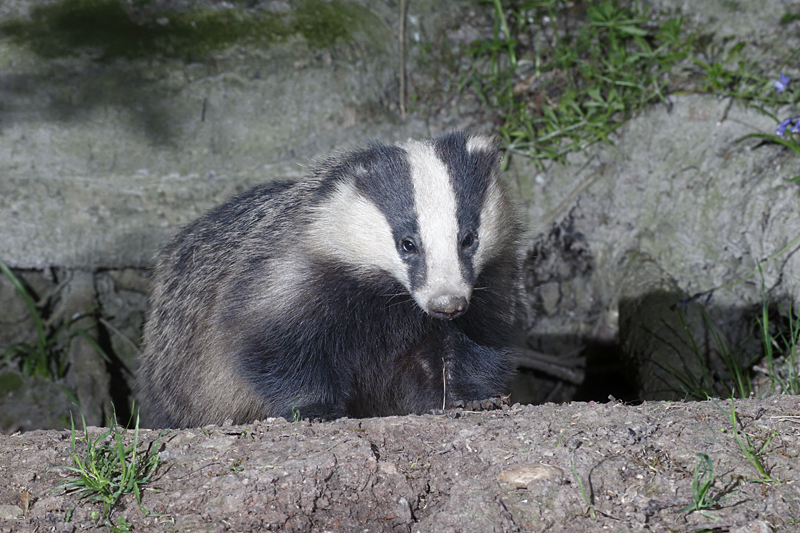 To encourage myself I have put up a permanent wooden hide at a Badger sett. Now a hide is not necessary with Badgers, but it does give me extra comfort on windy or damp evenings. 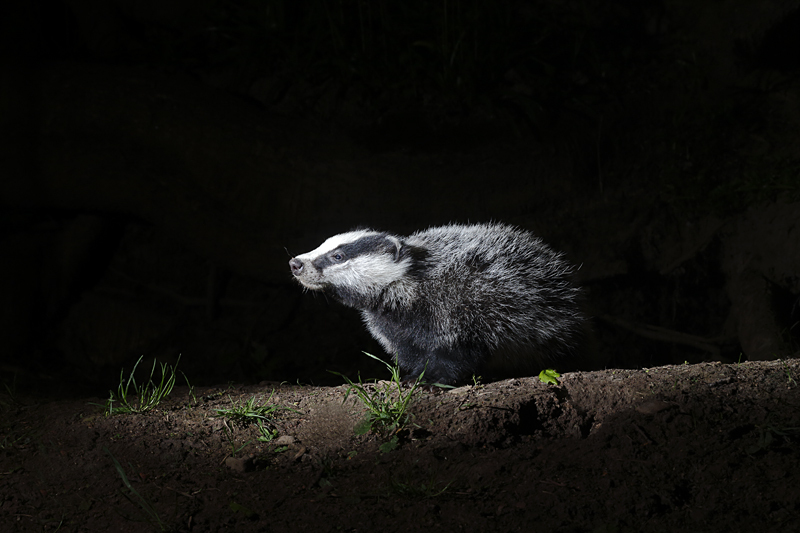 I have tried to get the badger used to me and my scent by leaving worn cloths in the hide overnight and have rigged up a 21 watt car fog light and car battery with a dimmer switch. I slowly increase the intensity of the red light when they appear and if I take 2 minutes to do so can eventually see them in very bright, but red, light. My first shots were with two flash guns on each side of the camera at 45 degrees. The pictures are sharp and well lit, but boring so the next night I used one flash high up and to one side with a cardboard snoot over it to concentrate the beam in one spot. 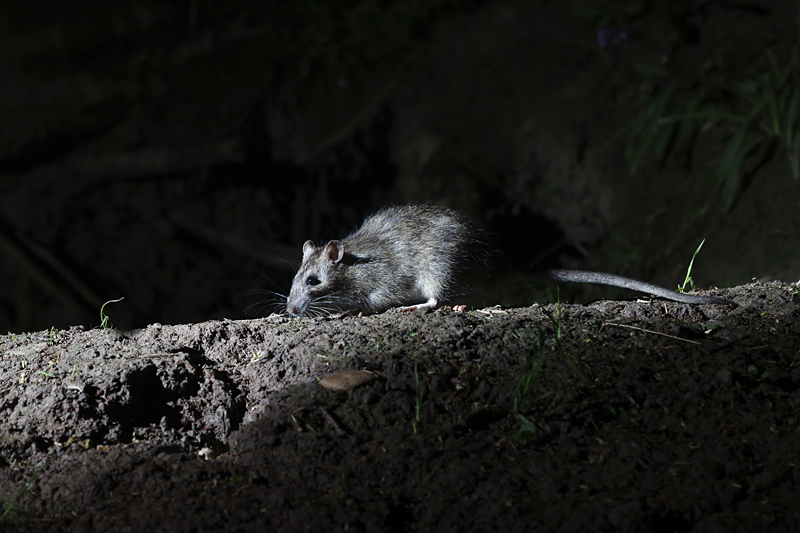 No Badgers appeared that night, but this Super Rat did. I thought it was a fox cub at first it was so large. 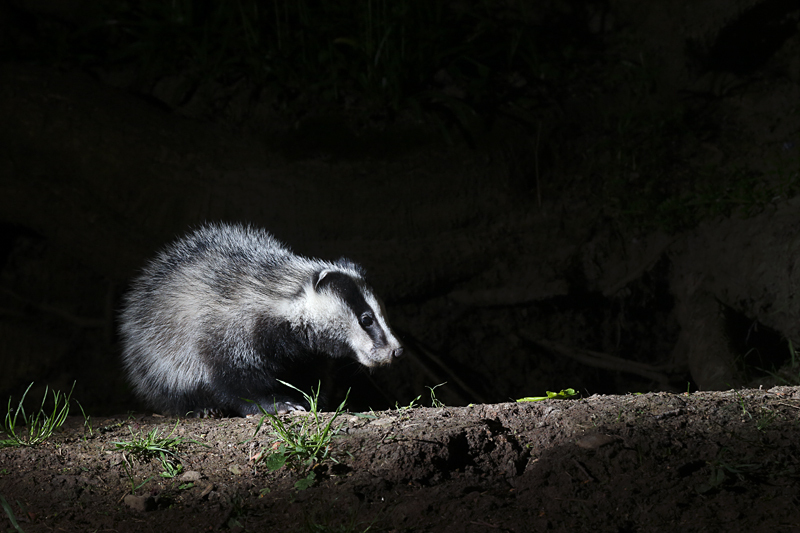 The next night I got some Badger in the beam of light. I feel the lighting is more interesting, but need to explore it further. A different background may be necessary to get the effect I want. 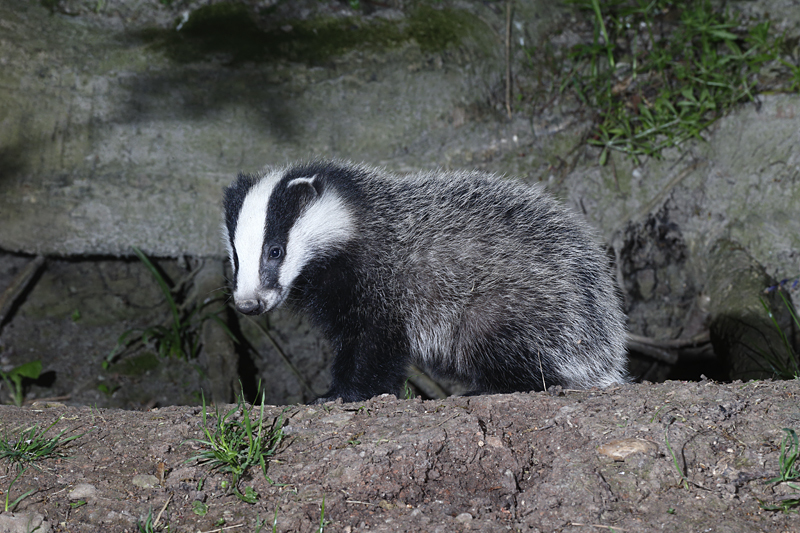 Posted on May 15, 2014, in Uncategorized and tagged badger, nature, photography, wildlife. Bookmark the permalink. 1 Comment.